Golden decorations and golden colors are about exclusive chic and impressive looks. 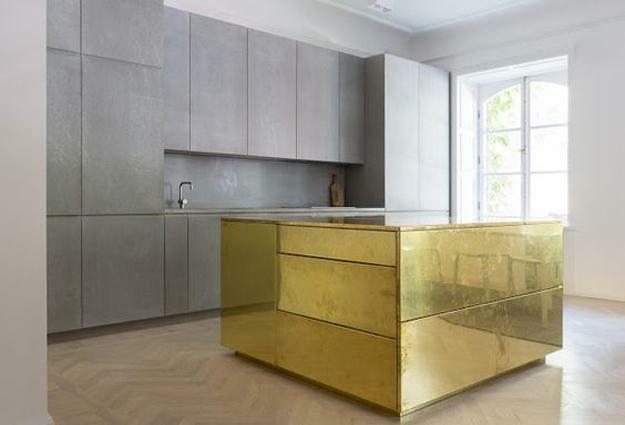 Golden kitchen islands are perfect for all who appreciate luxury and exquisite designs. 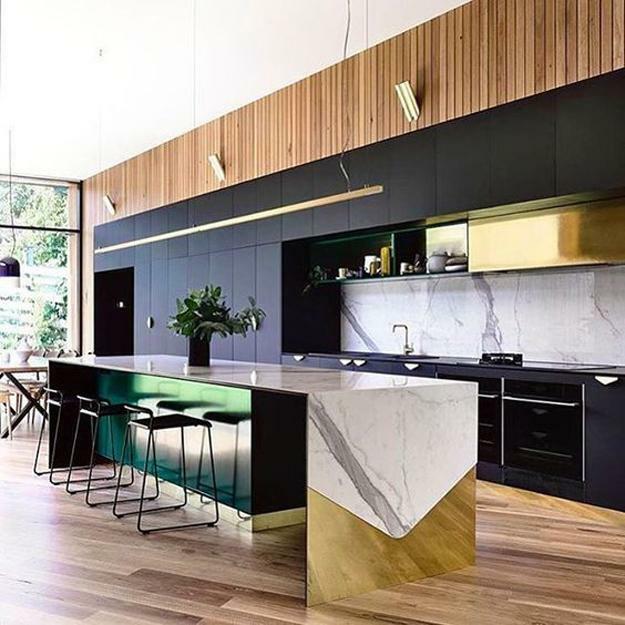 A majestic glow of metallic finishes turns contemporary kitchen islands into striking features that brighten up modern kitchens. 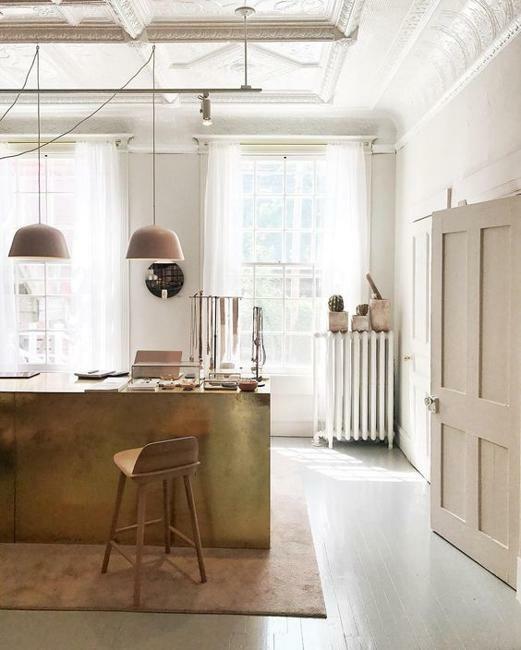 Golden decorations and designs are fantastic elements of creating beautiful, stylish, elegant, and unique kitchen interiors. 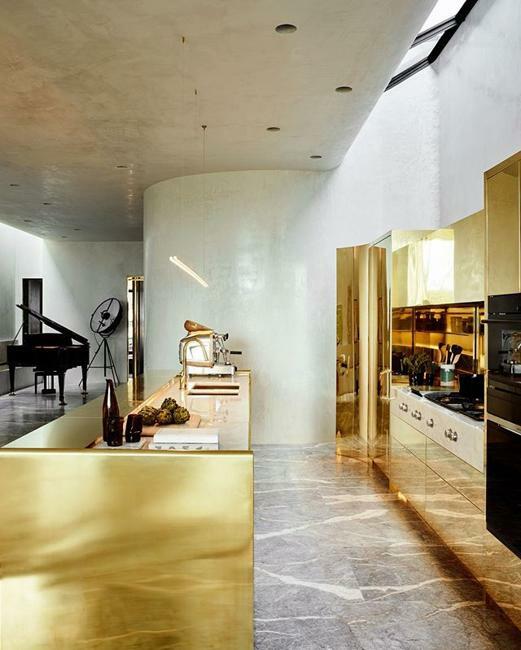 Golden finishes bring contemporary technologies, new materials, and novel ideas into modern kitchen designs and define the new, exciting kitchen trends in decorating kitchen islands, cabinets, and walls. 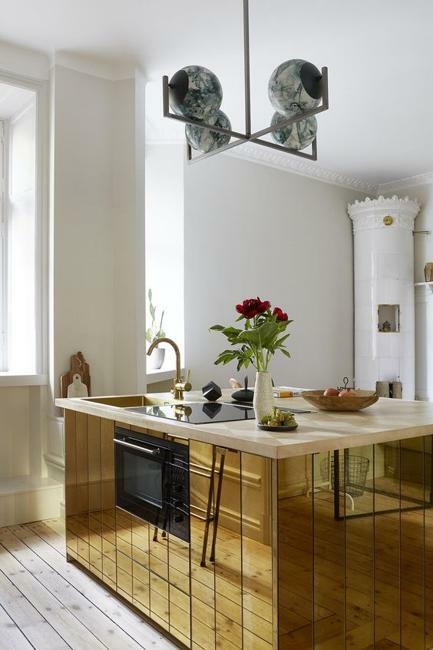 Golden kitchen islands have an incredible charm, showing off universally appealing designs that blend classic with modern ideas. Golden color shades welcome chic and originality. 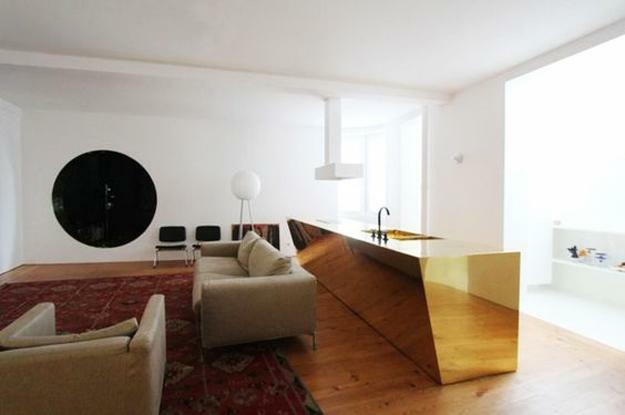 Stylish kitchen islands in golden colors are fabulous kitchen trends that revolutionize kitchen designs. 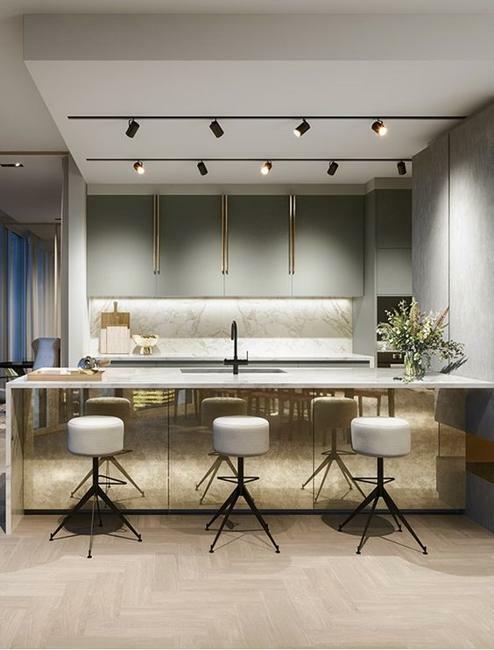 Golden kitchen islands not only symbolize luxury, but they also bring chic into modern homes. 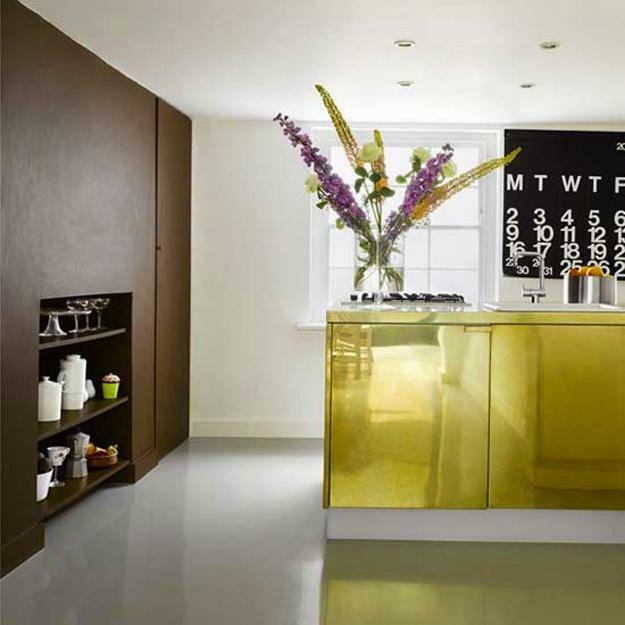 Gold finishing transforms kitchen furniture and walls. 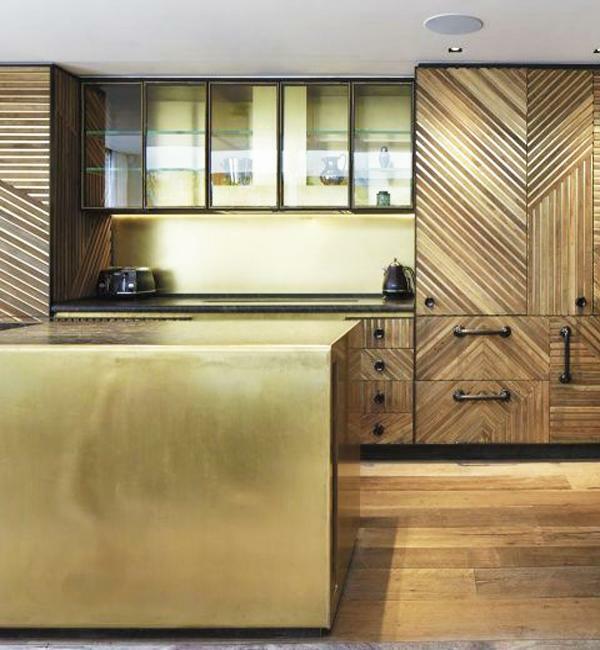 Gold finishing materials glorify kitchen island designs. 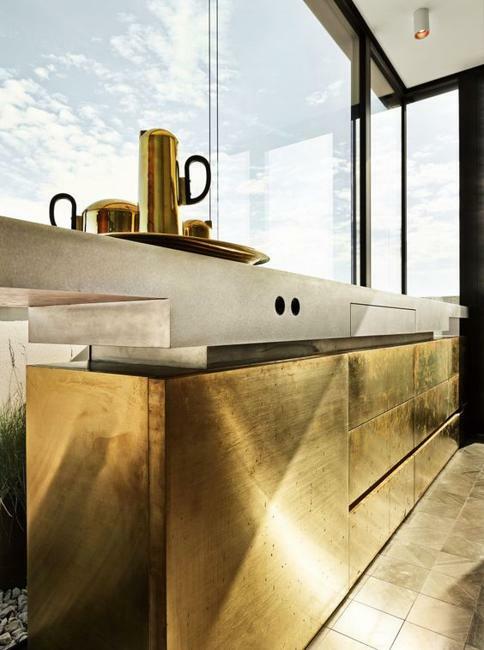 Perfect for contemporary kitchen interiors and high-tech style, golden kitchen furniture fascinate with glitter and shine. Golden trim panels create elegant accents, enhance decoration patterns, and enrich kitchen colors. 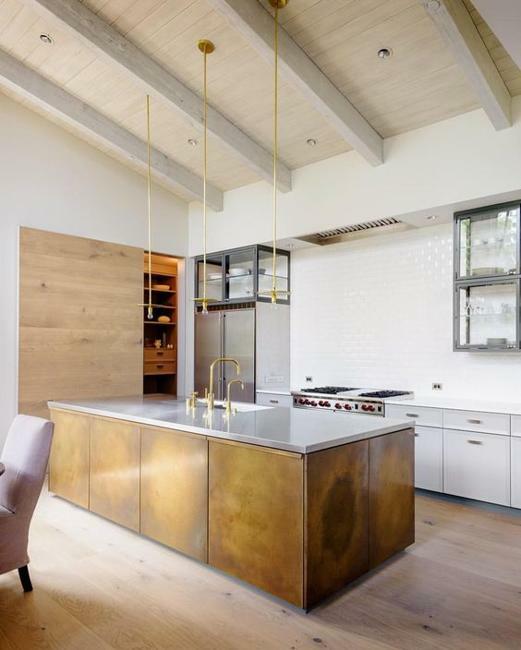 If you like golden colors in kitchen island designs but are afraid of using too much gold, check out the beautiful, modern kitchens showing how to combine golden panels with other kitchen colors and set luxurious kitchen trends. Golden colors look gorgeous with black and white decorating. 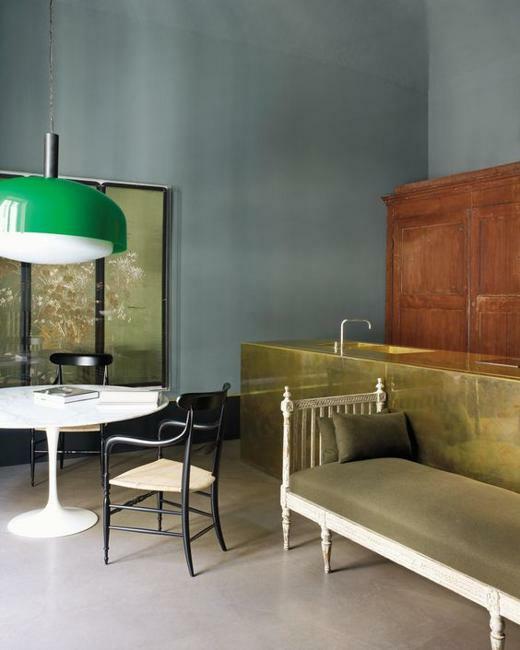 Also, golden finishes brighten up all brown colors and create spectacular color combinations with green tones. 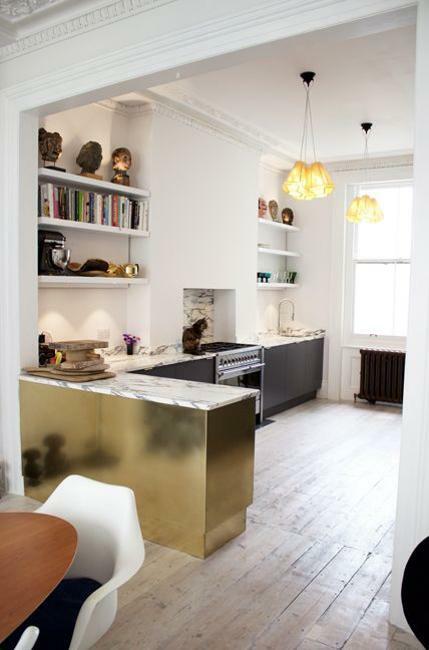 The gold style kitchen designs look timelessly elegant and chic. 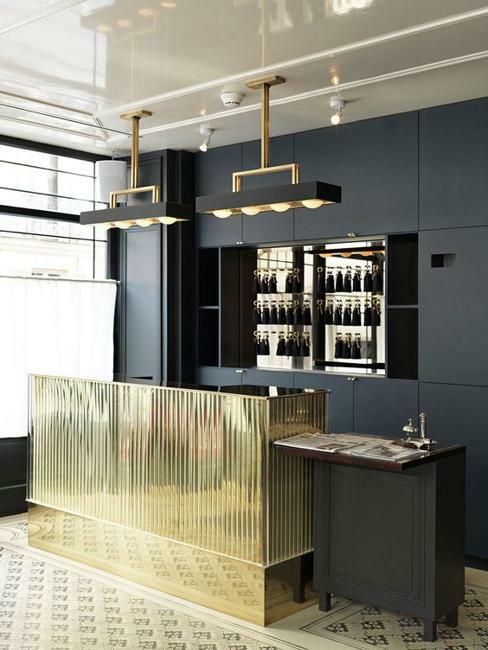 The beautiful golden finishing is a fantastic design idea to create a superior, noble feel.